Managing multiple sites can be likened to owning a shoe collection. After all, how can a single shoe possibly suit all your OOTDs – that’s outfit of the day for those that aren’t versed with millennial terms.Today, we will talk about whether owning multiple websites are beneficial for your business. Many companies with multiple business lines prefer having more than one website as well since they tend to have more competition. They make use of a primary or main domain complemented by one or more microsites. A microsite or minisite,in a nutshell is used to support a business’s primary domain. Microsites mostly have a URL that’s distinct from the primary domain and boasts its own unique design and navigation. Previously, microsites were very beneficial for people looking to rank for specific keywords. If you wanted to rank for “Aussie Shoe Repair Services,” it will help to register aussieshoerepairservices.com as a microsite. This is called an “exact-match domain (EMD)”since the domain name exactly matches the search query verbatim. On September 2012, Google updated their algorithm aimed at lessening low-quality exact-match domains from showing up high in search engine results.EMDs since then are no longer as effective as they used to be. Regardless, the EMD update doesn’t mean microsites are no longer effective for boosting marketing efforts. There isa plethora of other reasons your company will be able to benefit from having a microsite or two. 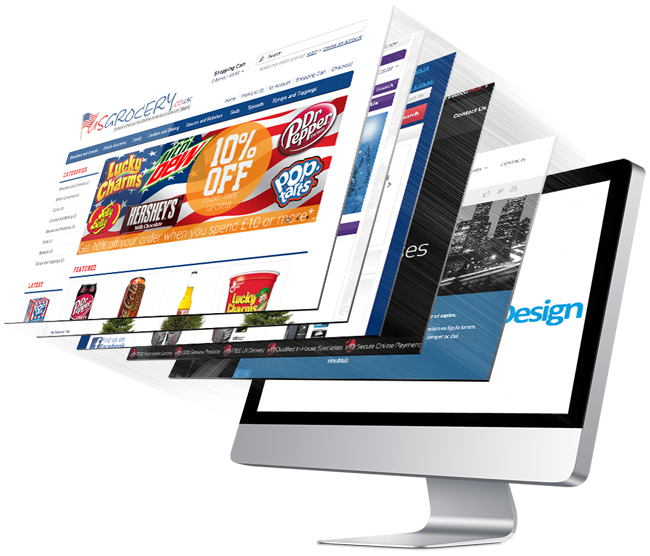 Businesses that look for better branding and promotion of a certain product or service differently could effectively utilize a microsite. Think of it like a television network where the network has a website, but each individual show on the network use their own microsites for branding and promotion. Microsites are especially useful if you want to targetdifferent buyer persona with a specific productor service. It’s possible to design everything about the micrositeto make it more appealing to a specific buyer persona. A microsite could still provide you benefit by helping you appear more authoritative and relevant to search engines as well as potential clients even if you don’t want to necessarily target a different buyer persona. An entire domain dedicated to just shoe products and services—as opposed to a domain with only a few pages devoted to shoe products and services—can, in time, be more relevant and authoritative to bothpotential customers and search engines. Owning a separate domaincan maximize your online presence by showing up multiple times in organic search results. Even better if you show up in paid and local search results as well. You’lllessen the likelihood that your potential customer visits your competitors’ links and boosting the likelihood that they will turn from a lead into a paying customer. If you’re currently considering to purchase and run more sites, the first step is to do a domain name search from websites like Crazy Domains who also offer premium yet affordable hosting services without the shackles that come with most hosting providers. Check them out! Big and small businesses can succeed online if they follow proven practices and techniques – be sure to research and consider your businesses’ unique needs first before diving into microsites. Best of luck!